Home Politics Chavismo ¡Así, así, así es que se controla! ¡Así, así, así es que se controla! The current head of the Venezuelan Parliament’s Comisión de Contraloría (or Government Oversight Committee), Pedro “DirecTV is watching you” Carreño announced that his body had solved 438 of the 738 cases brought before it. How many of those ended in sanctions? Four. You read that right. These guys managed to find proof of corruption in less than 1% of the cases brought to them, all at the small-fry level of mayors of sparsely populated municipalities. 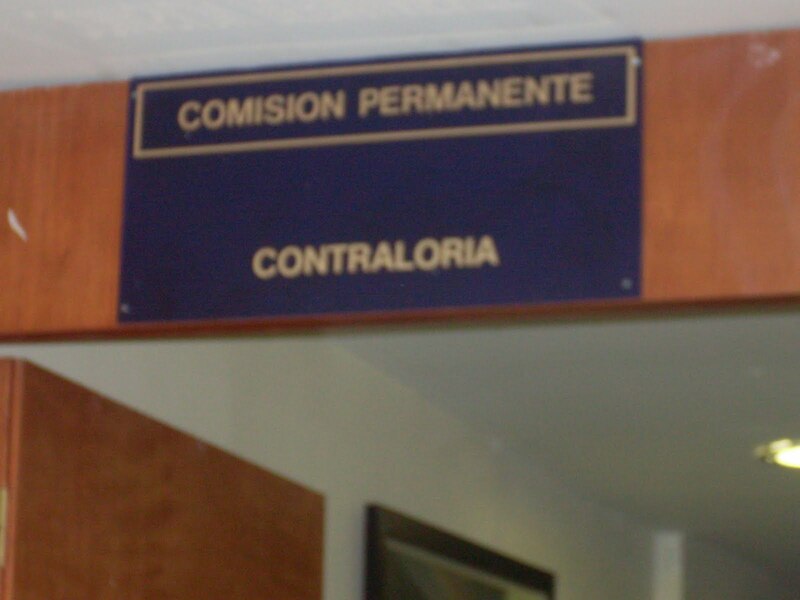 Say what you will about La Cuarta, but the old regime stuck to an unwritten rule that the opposition party always got to pick the head of the Comisión de Contraloría. It was obvious, too obvious, that if you allowed the governing party to pick its own anti-corruption you’d end up in a situation… well, a lot like the one we have now. Under Carreño’s leadership, while the Oversight Committee is still going full speed ahead with investigations against several opposition governors, opposition members of the commission shout themselves hoarse over a deliberate slowdown in all cases where important Chavistas are named. Meanwhile, a full replacement for the late Comptroller General Clodosbaldo Russian is not expected anytime soon, as Chavismo doesn’t have the 2/3 majority to name their own guy, leaving his “temporary” replacement in charge indefinitely.